Meanwhile, their friend Jin Lo washes up on a remote island where an American spy is stationed, and finds herself on the trail of a deadly threat in China. But sheâs on the other side of the worldâhow can Janie and Benjamin reach her? 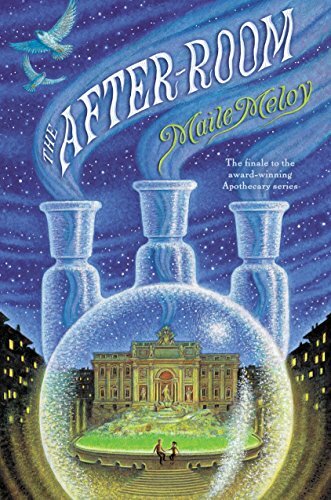 The triumphant finale in the trilogy that began with Maile Meloyâs bestselling, critically acclaimed The Apothecary, and continued in its captivating sequel, The Apprentices, The After-Room is full of enchantment and heart, with Ian Schoenherrâs stunning illustrations throughout. About: It’s 1955, and Benjamin Burrows and Janie Scott are trying to live a safe, normal life in America. About: The triumphant finale in the bestselling trilogy is now in paperback!